If we accept the hypothesis that yields are not anymore the key drivers of FX rates, we also should point out that the two main drivers of the EUR Basic Balance improvement are FDI and Portfolio Investments as the CA is relatively stable. US equities broke the trendline resistance and almost are near parabolic phase. DAX could not even touch the 13500 previous high as surge in EUR put a pressure on European equities in the second part of the week. 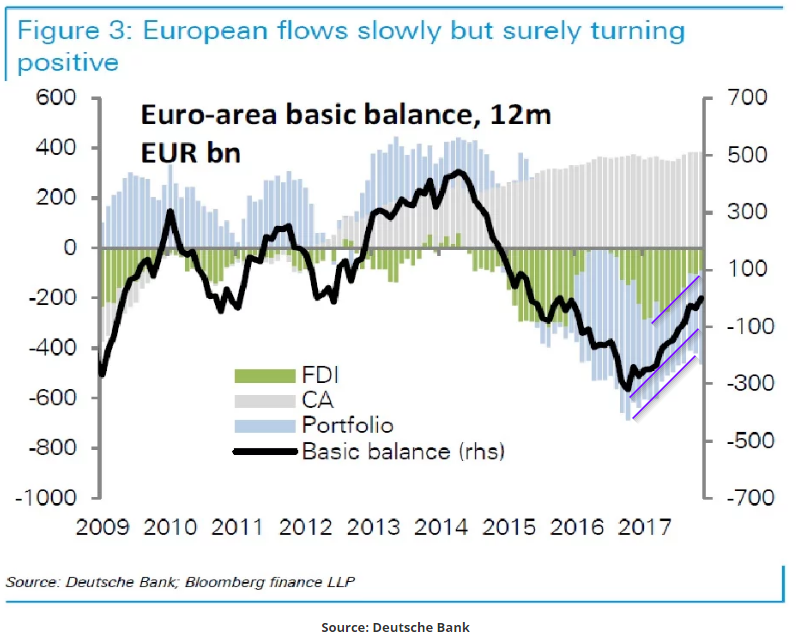 The valuation gap between US and EU increased again. 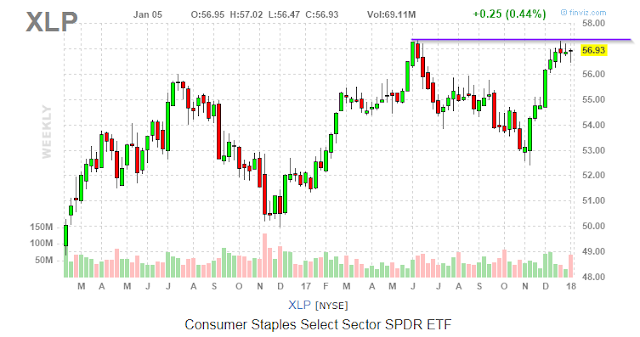 The leaders were Basic Materials (fueled by the commodity prices) and Industrial Sector. 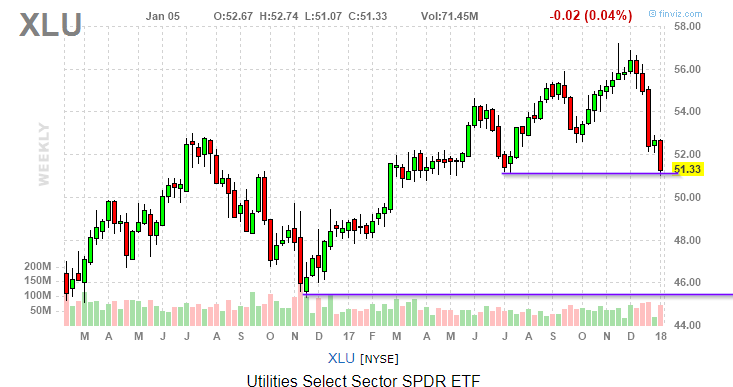 Utilities are still bearish due to the increase in yields. Yields on both sides of the Atlantic hit record high, while the German-US spreads remained on the same level. 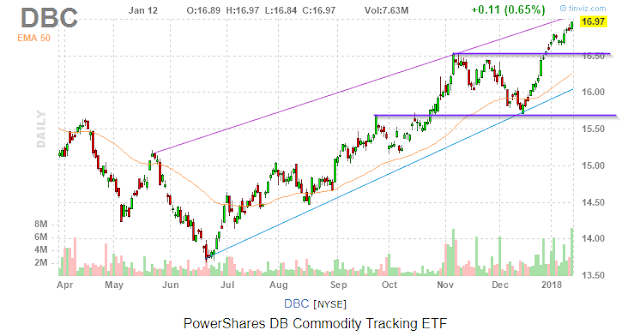 Commodities followed trough last week breakout. 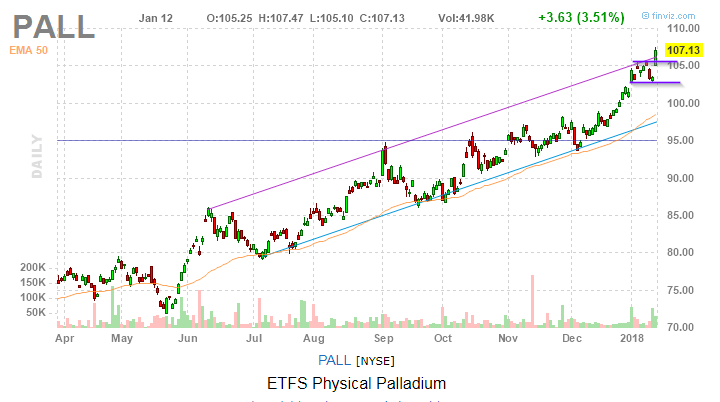 Energy driven by oil,gold and palladium were the biggest winners last week. 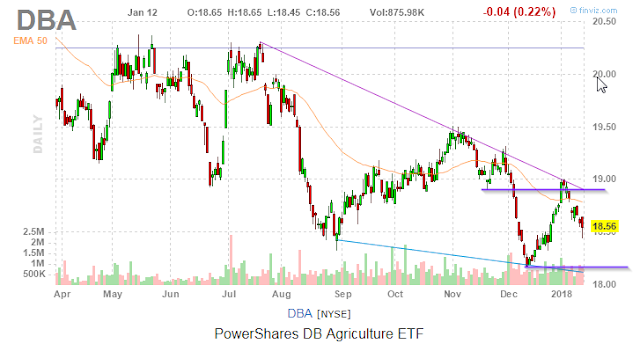 Agricultural commodities seem to be heading to retest the previous low. Golding retested the 1300 area and now facing the 1360 major resistance. 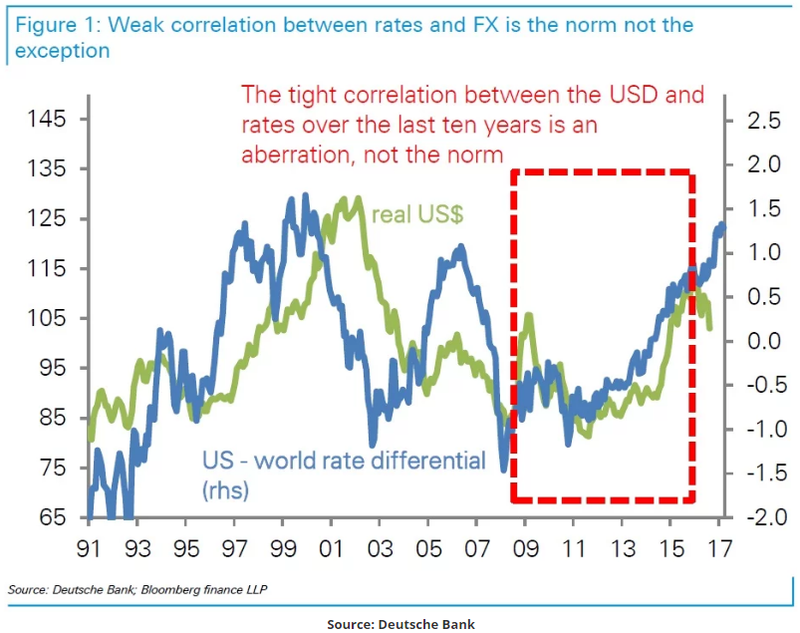 It appears that it is the USD weakness rather gold strength that underpins this move. The week was about USD weakness again. 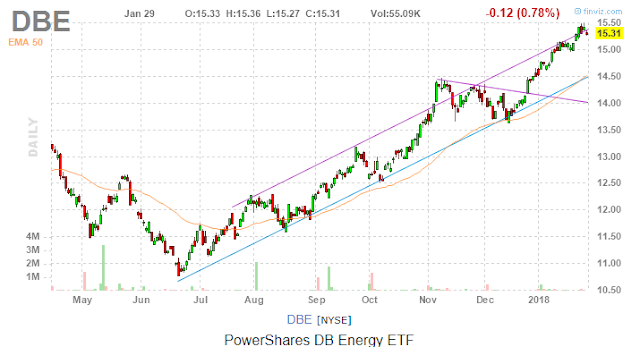 DX is near a resistance, if it breaks the next support is at the june '13 level. 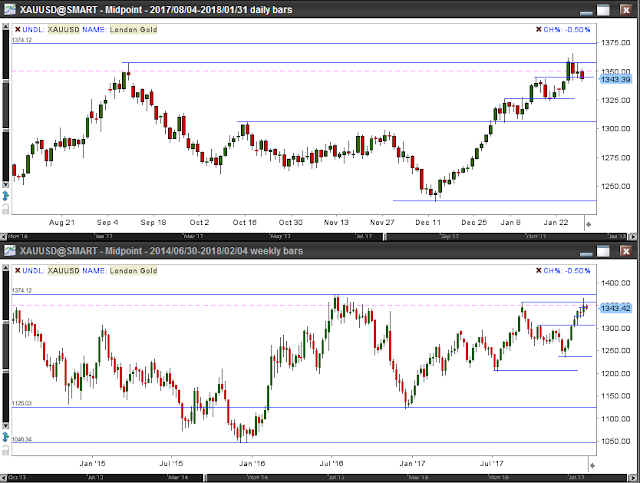 The JPY was the best and the CAD was the worst performer relative to the USD last week. EUR/USD broke the 1.2100 resistance area. 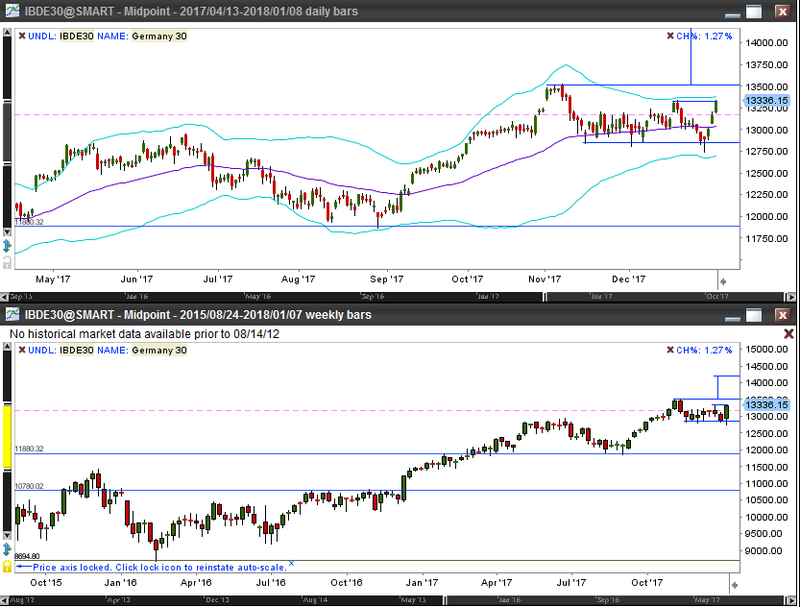 The next major resistance is around 1.2650-1.2750 measured move and June '13 levels. 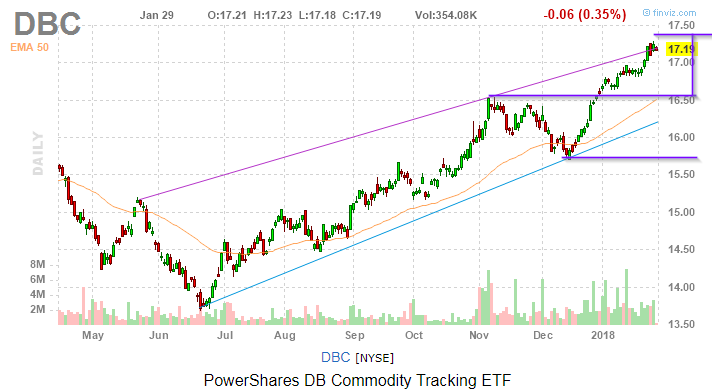 Should those fail the next target is 1.4000 May '14 high. GBP/USD is facing with the 1.3830 February '16 low level.The next resistance is at 1.4800 pre-Brexit vote level. 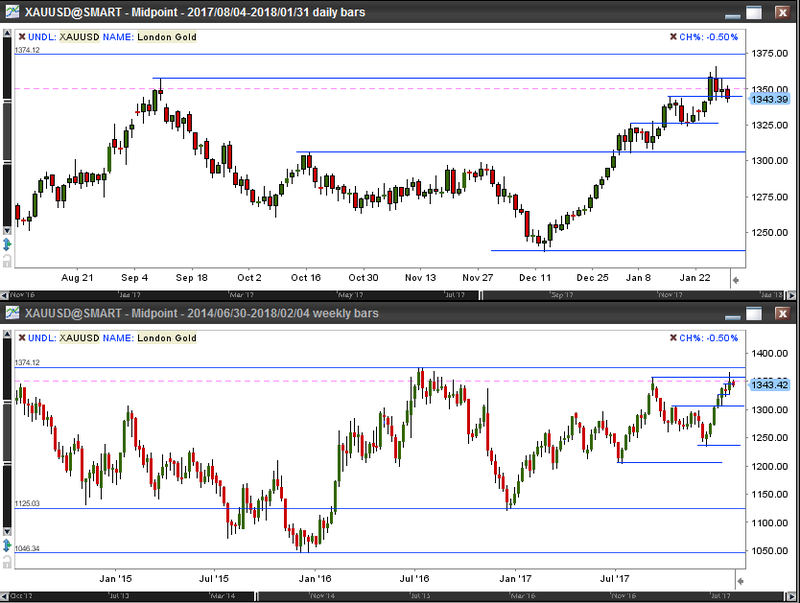 Both AUD and NZD are in a strong uptrend but still within a longer term sideways range. 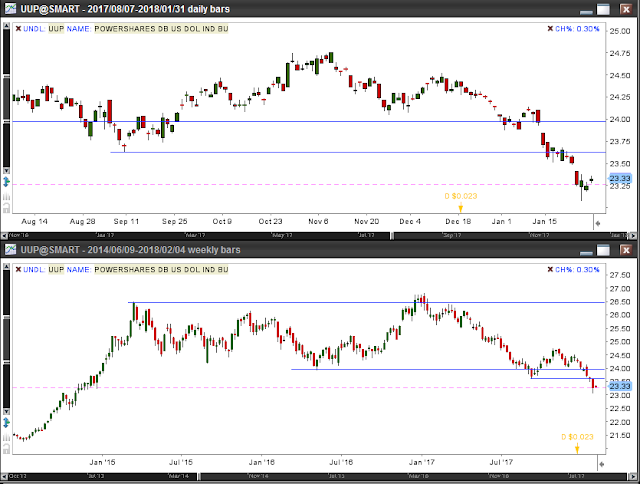 USD/JPY is facing the 110.80 November '17 low support level. USD/CAD is retesting the 1.2430 October '17 low level. Equities stared the year on a strong note. US indices are breaking the upper trendline, both are outside the BB (50,2 - EMA). The DAX is approaching the record high 13500 strong resistance. 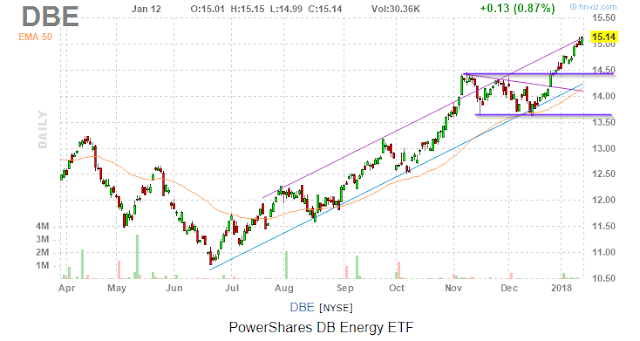 Should it break out the measured move target is around 14250. Based on the valuation data compiled by StarCapital the gap between US ant Europe is widening. 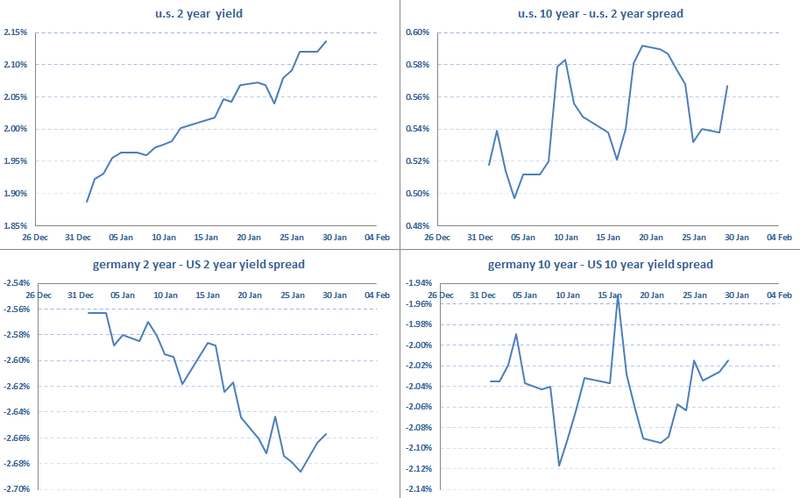 This suggest that buying DAX-SP500 spread on longer term is something to consider. Basic materials and Technology were the leaders, wheres Utilities the laggards in last shortened week. XLU is at a major support. XLP is at a major resistance. 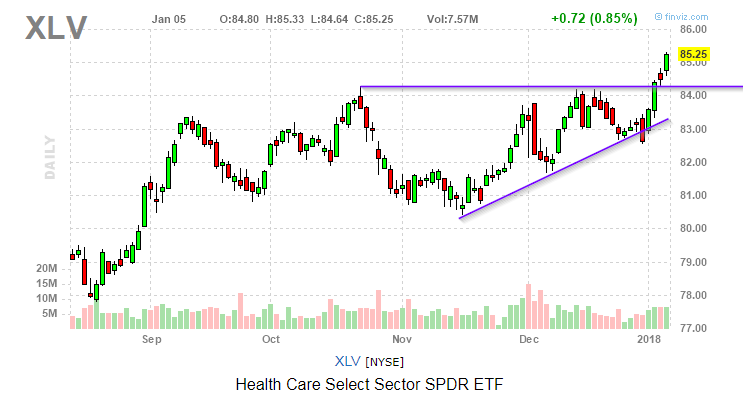 XLV broke out. 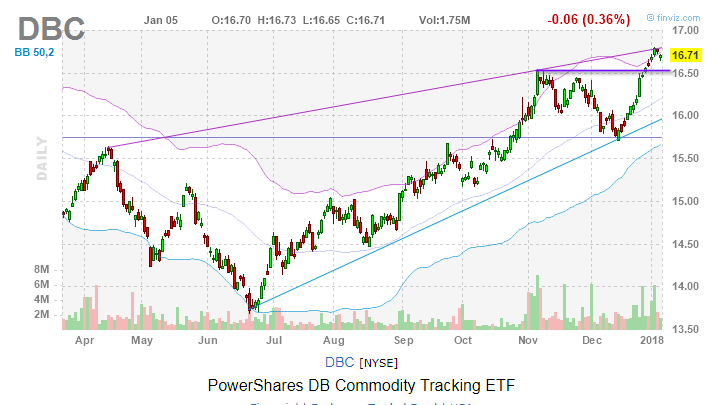 The measured move target is around 87.5. 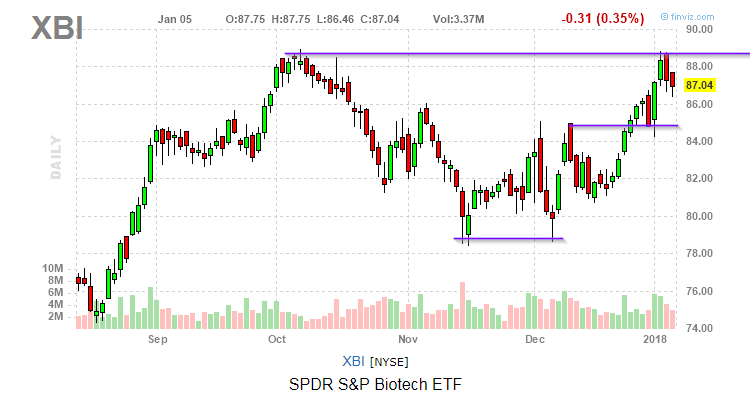 On the other hand XBI couldn't make the break. 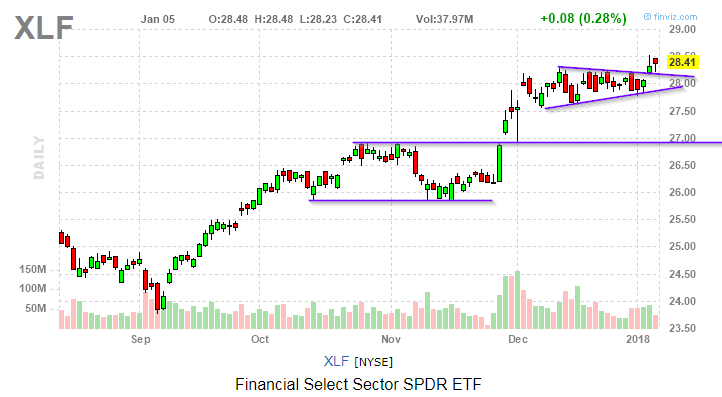 XLF had a nice completed pennant. 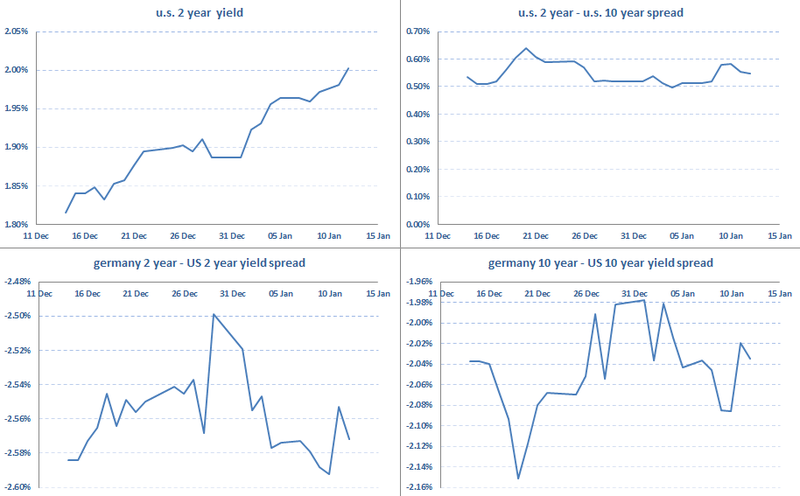 US yields, especially the 2y are rising. 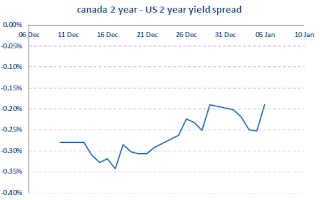 The 2y-10y spread is at 0.50% again. 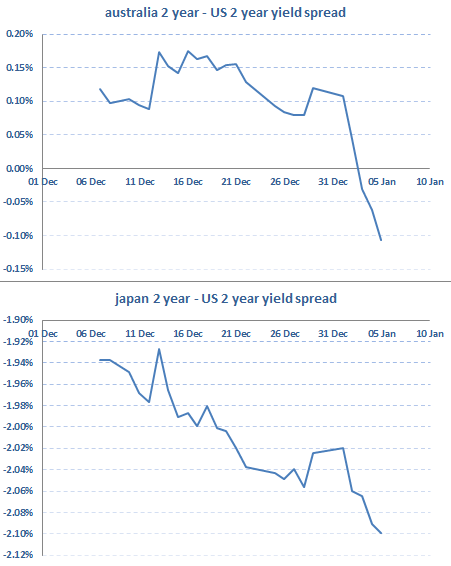 The 2y spreads are declining especially in case of Australia and Japan. 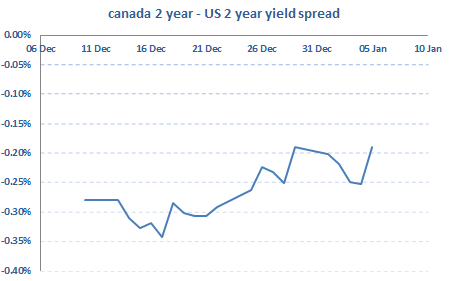 Canada is the only exception where good jobs data pushed the yields higher. 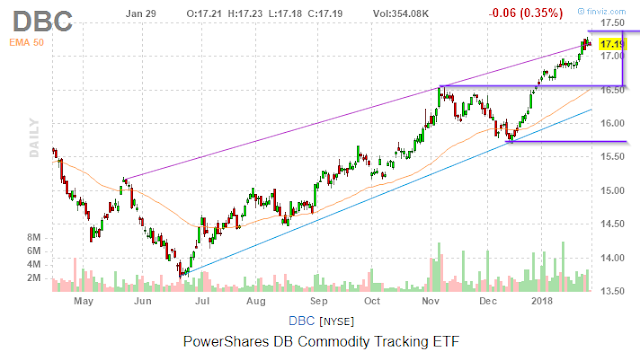 DBC is in a strong uptrend breaking the 16.50 resistance. 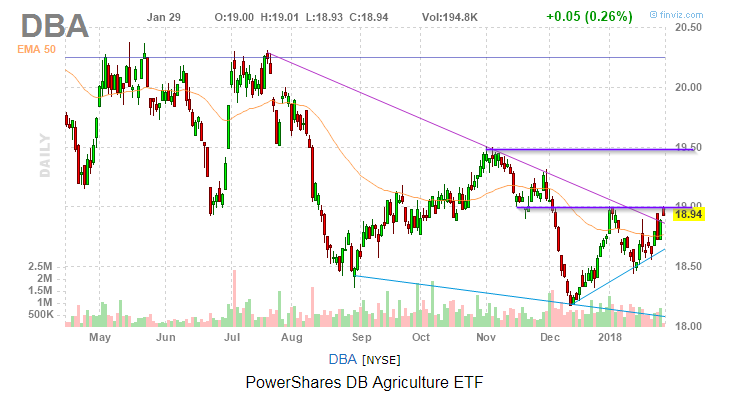 DBA retested the break and the bearish trendline. 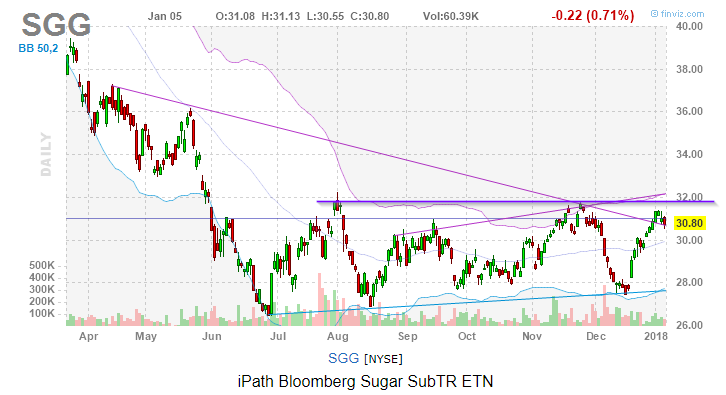 SGG is at the top of the sideway channel and at a bearish trendline resistance. DBB is retesting the breakout. 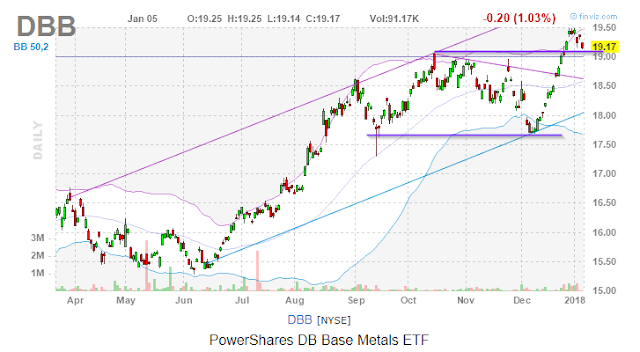 Gold had broken out from the 1300 area. EUR is struggling with the 1.2100 resistance. GBP is facing with a very stron resistance area. AUD is at a resistance. Yields suggest that is should not break it. 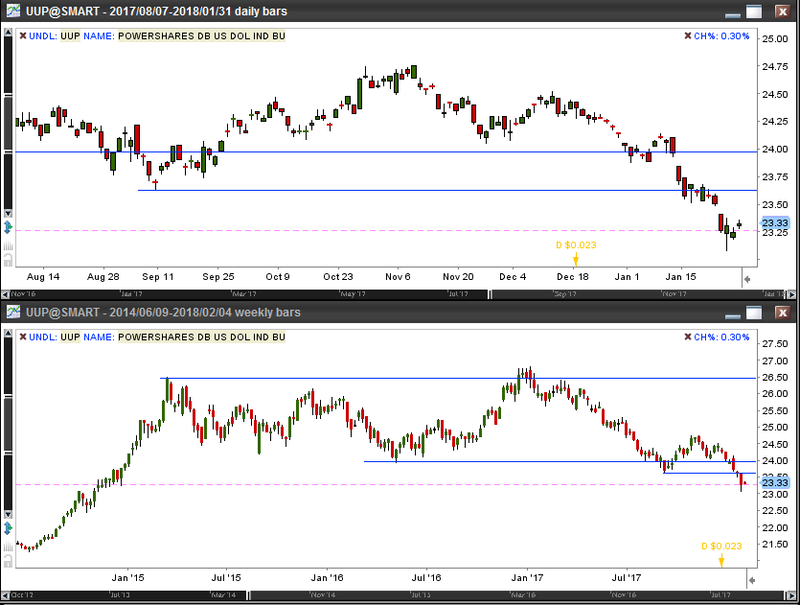 JPY is in the middle of a smaller range. At 114.50 there is a strong resistance. Yield differentials suggest the test of this level. 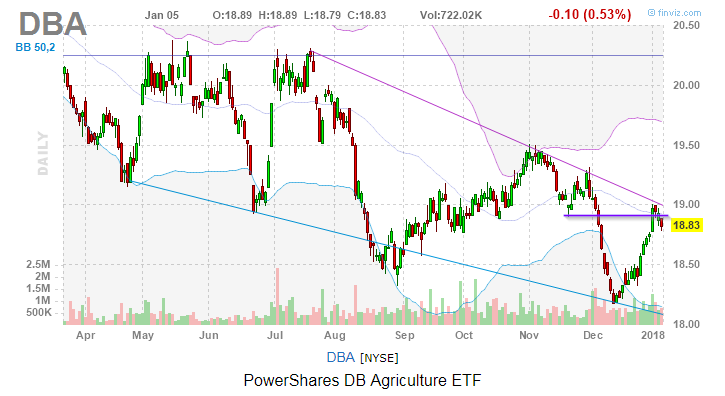 Strong economic data helped CAD to break the 1.2500 strong support. We might see the test of the next support at 1.2050.